The conversation was short and simple, “Do you want me to review the new Ayreon album?” “Yes” says Chesy “Ok then”. I’m such an idiot. How hard can it be? I’ve listened to every Ayreon album a hundred times (except The Theory of Everything) so I know what’s coming: lots of top notch singers and musicians coming together under the experienced eye of musical maestro Arjen Lucassen, weaving a convoluted story with over the top prog rockness (MS Word won’t believe that’s a word but we know differently don’t we?). Well the answer is both easy and difficult, easy because it is bloody brilliant and difficult because I want to get across how brilliant it is and I feel I’m going to fail. How can I encapsulate this intricate work of genius whilst retaining my aloof reviewer cred and general cynical outlook on life? Ayreon (Arjen) has carved a niche for itself by not compromising and following the vision of the universe it wants to create. If you’re not familiar with their work it is a creation of one man, Arjen Lucassen, who gets together the biggest names in rock and metal to play characters in the rock operas he writes. The whole thing inhabits a universe plotting the birth, death, rebirth, interstellar migration, death, rebirth and probably death again of civilisations across eons of time, you know; the stuff your average pop song is about. I’ve made this all sound very complicated and a difficult listen but like Coheed and Cambria you can go right in and follow the story to its nth degree or just listen to the songs and tap your foot, it’s up to you and you’ll enjoy it either way probably. For people familiar with Ayreon, this is a more rock focussed affair than previous offerings with the drums and guitars more up front in the mix. Less flutes and strings, more killer riffs. As a (terrible) drummer myself this is direction I can get behind, it is properly head nodding at times and my air drums are getting a work out. 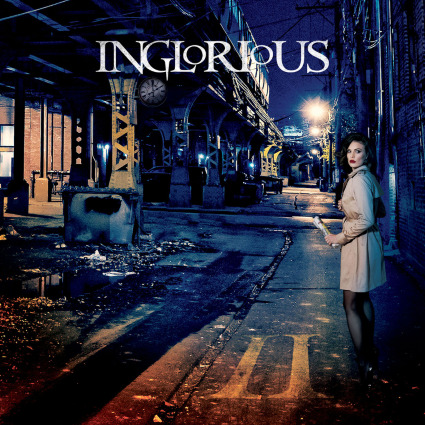 It goes without saying that the musicianship is top notch and with vocal performances to match. With names like James LeBrie (Dream Theater), Floor Jansen (Nightwish), vocal gymnast Michael Mills (Toehider), Simone Simmons (Epica) and a host of others on board the whole thing is in safe hands. The album races along without getting bogged down like ‘The Theory of Everything’, TTOE was the last album Ayreon put out and for me was their only misstep. Don’t get me wrong it is an impressive work, but with four 20 minute tracks on it and no discernible hooks it was hard work and I can’t get through the thing anymore. Some people love it, I do not. Arjen has gone off in a completely different direction from TTOE though, this is full of killer hooks, melodies, riffs and Ed Warby gets to let his hair down (if he had any) on a few tracks showing why he is the drummer of choice for Ayreon. You can hear lots of musical nods to other Ayreon albums plus nods to the various singers styles, at times you could be forgiven for thinking you were listening to ‘Dream Theater’ when James LaBrie is singing or ‘Between the buried and me’ when Tommy Rogers is front and centre. This is the album Dream Theater’s ‘The astonishing’ should have been instead of a wet, boring, navel gazing waste of my time and I hope James LaBrie goes back and makes the rest of DT listen to it. Nightwish too could have a listen and realise that now they’ve got a talent like Floor in their midst they should write something better than their last outing for her. Grumble grumble. A quick word about the packaging, I got the CD/DVD digipack containing the two CDs plus a DVD containing music videos, behind the scenes footage and a 5.1 mix of the album. The booklet is full of great artwork and shows just what you miss if you only buy digital downloads. There are a few choices when it comes to formats so check out which suits you before buying this. If you aren’t sure you’re up for this look up ‘The day that the world breaks down’ on YouTube. If you like that you’ll like the whole thing. 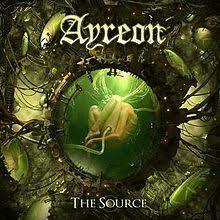 This is my new benchmark for Ayreon and the album I would recommend anyone new to them to start at. I’m going to be playing this all year I suspect; several listens are needed to experience the whole thing without becoming overwhelmed. This is an genuinely epic piece of work that deserves to sell a million. 6. Planet Y Is Alive!